This is the first GEM study for Suriname. 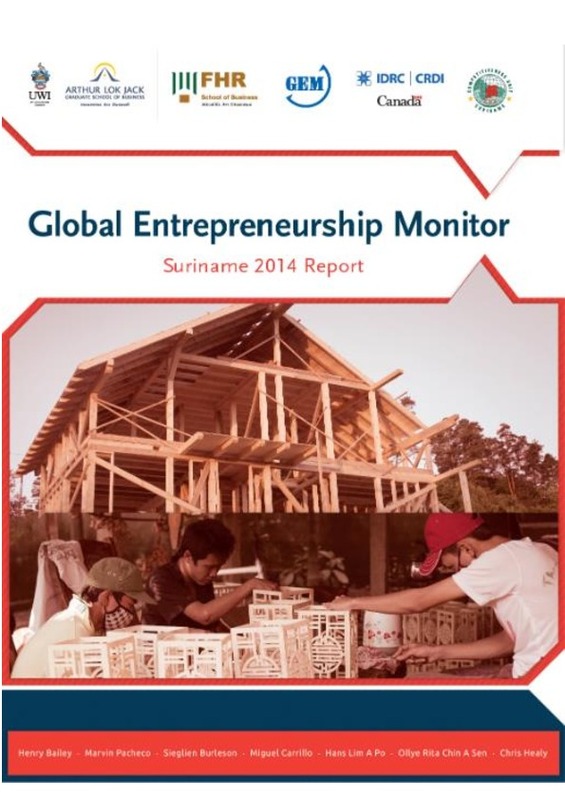 Despite favourable perceptions towards entrepreneurship among the adult population, entrepreneurial intent and participation are both very low compared to other countries. Several challenges were observed in the entrepreneurial framewrok conditions - particularly in the areas of access to finance, support programes, R&D transfer and market openness. 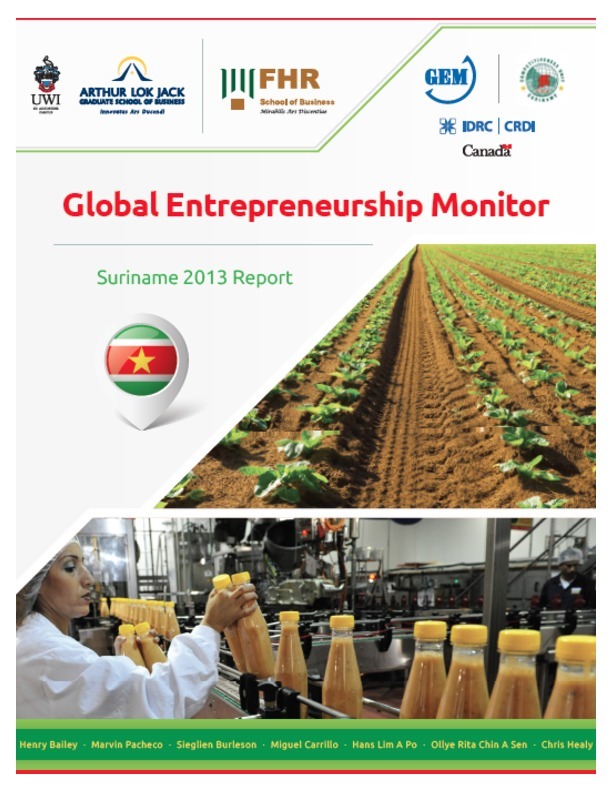 Entrepreneurial firms in Suriname were found to under perform on the dimensions of innovation, growth potential and export competitiveness. The report ends with a preliminary set of recommendations to address issues in entrepreneurial intent, activity and outcomes, along with recommendatiosn for further research.